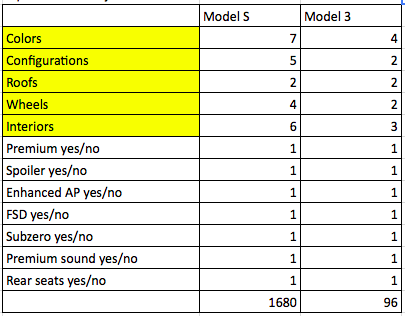 After Tesla officially published its specification sheet comparing Model S vs. Model 3, I couldn’t help but wonder how Model S is able to have 1500+ configurations while Model 3 has fewer than 100. After a moment of head scratching, I decided to do some math. 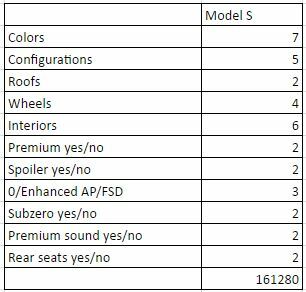 The current Model S can be had in 5 main configurations: 75, 75D, 90D, 100D and P100D. 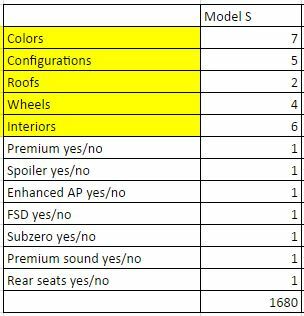 There are 7 colors, 6 interior combinations, 2 roofs, 4 sets of wheels and 3 possible Autopilot options (no software, enhanced and FSD.) 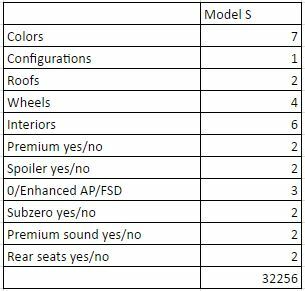 There are also 7 unique options that can either be had or not, which equates to over 160,000 total possible combinations when not considering smart air suspension, since that is not available on all 5 configurations. That math is illustrated below. Perhaps the car itself, what I refer to above as configuration, is not a customization. 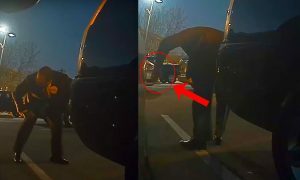 Once you pick a vehicle, such as a Model S 90D, then you can customize it. When you remove that, the number shrinks by a lot. Only, it’s still nowhere near 1,500. So what then, can I remove to get to a number that can reasonably be called 1500+? If I consider some of the choices “options” rather than “customizations,” and leave everything else (in yellow below) as a customization, then the number starts making a whole lot more sense. 1,680 can, in my opinion, reasonably be referred to as 1500+. 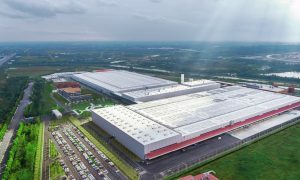 But Electric Jen, Tesla has been showing red cars since the first Model 3 unveiling on March 31, 2016! 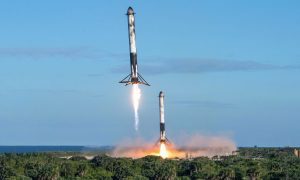 Yes, I certainly think red will be available but for the sake of fudging to make the math work, let’s pretend only the P75D can come in red, and thus will have to wait until some time after the “initial” production run to be had. Do I really believe all of the above options are the only things that will be offered? No, but may be true initially. 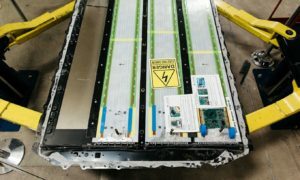 If Tesla is only referring to the initial production run, which we already know does not include dual motor all wheel drive, the 5 configurations that I ultimately think will be available eventually becomes a 2. 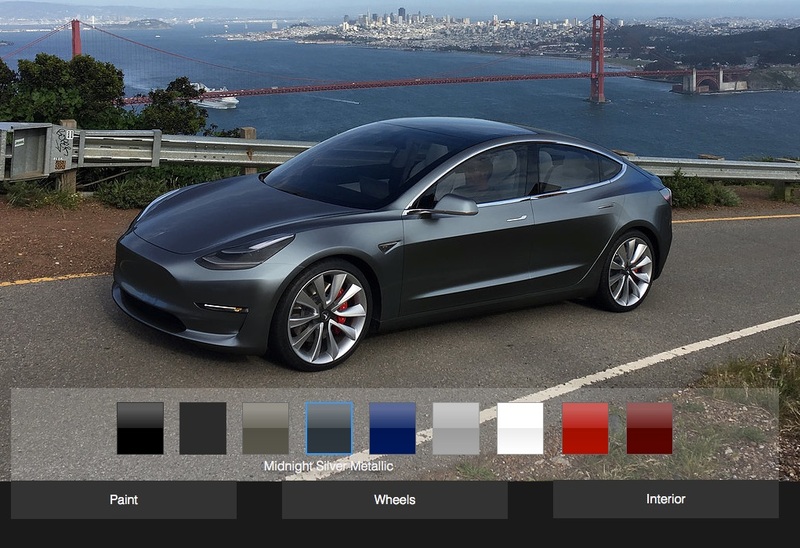 I also think that Model 3 will be available in at least 5 paint colors, if not the full 7. Just not initially. 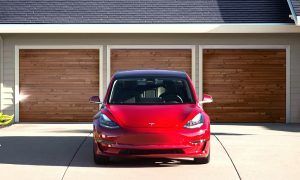 It’s been fun to speculate, if for no other reason than to kill a few minutes of the agonizing wait time until Tesla launches the Model 3 Design Studio.